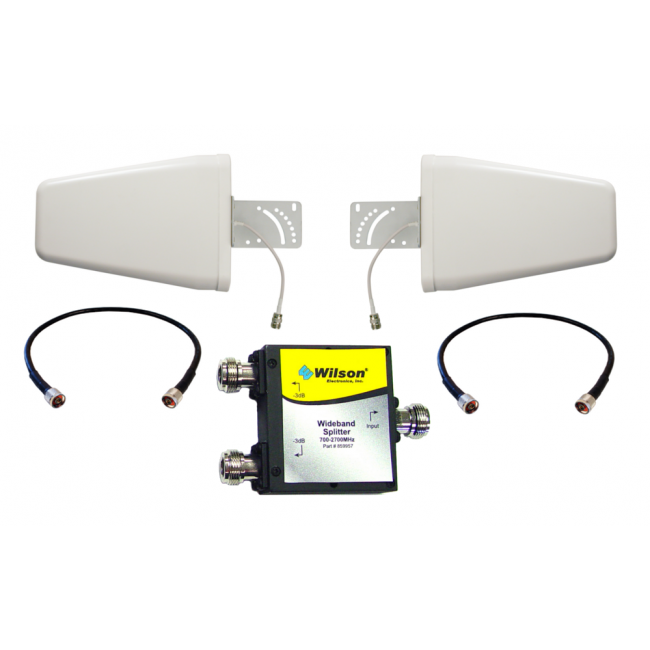 The Wilson Dual Wide-Band Directional Antenna Kit (38083) is the best outside antenna choice in situations where you have a weak outside signal and need to support multiple carriers with towers in different directions. Typically, when using a directional outside antenna, you're limited to covering a single carrier, or possibly multiple if their towers are in the same general direction. 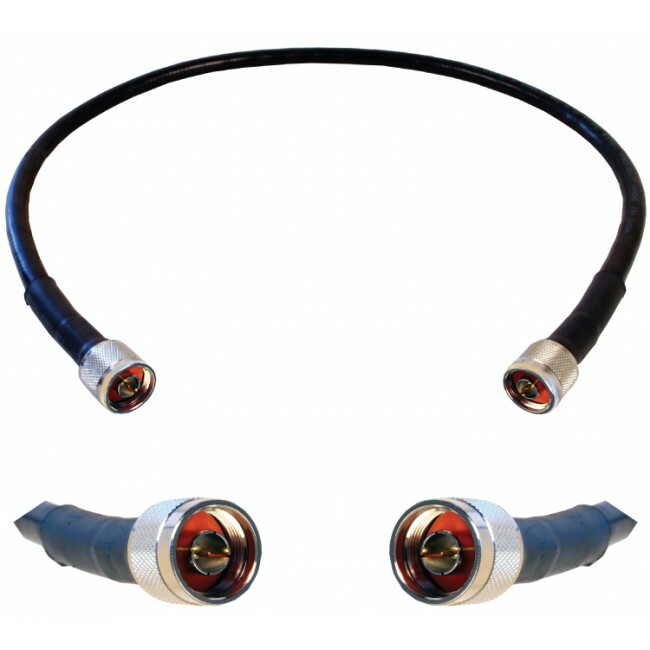 With this kit, you get the power of using a directional antenna and but can cover two completely different directions. 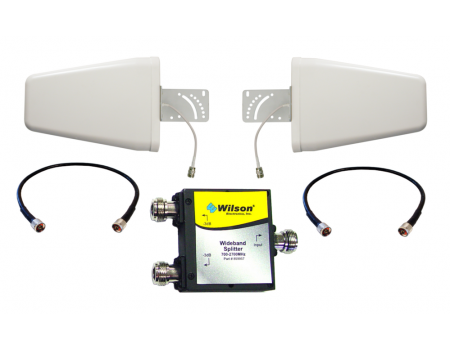 The Wilson Dual Wide-Band Directional Antenna Kit (38083) is the best outside antenna choice in situations where you have a weak outside signal and need to support multiple carriers with towers in different directions. 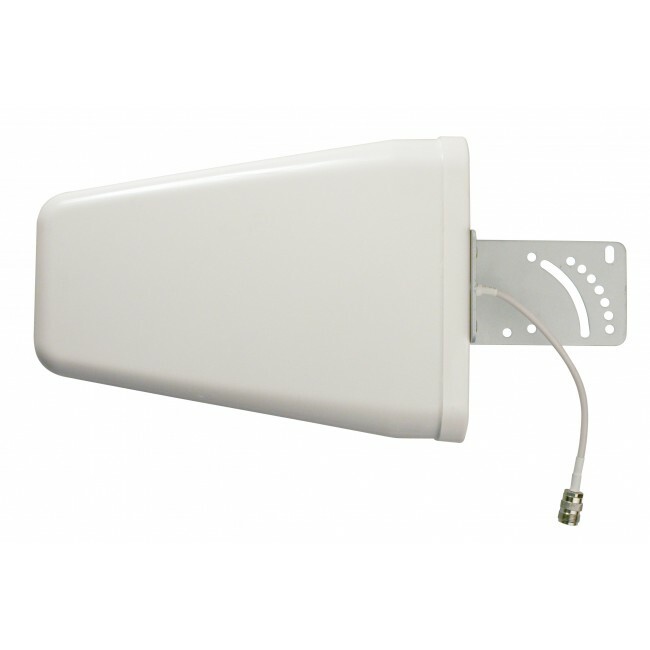 The powerful directional antennas give you the power to boost even a very weak signal while have two allows you to cover up to 45% of the horizon instead of just 22% with a single antenna. 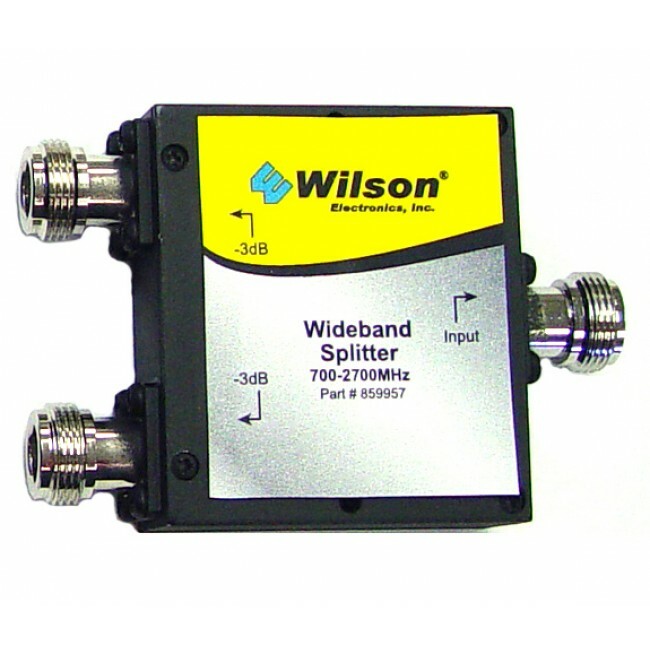 This kit is designed for 50 ohm signal booster systems. To install, mount the included directional antennas on a pole within 3 feet of each other. Connect the included 2 ft. cables to the antennas, and then connect the other ends to the two ports on the splitter. You can now attach the splitter to your cell phone signal booster amplifier in the same way you would install a traditional outside antenna. When aiming the antennas, it may be helpful to connect a single antenna to the signal booster at a time. Then, when you have the two antennas properly aimed, reattach the splitter to amplify the signal from both antennas at the same time. 2 ft. cables included. Cable to connect splitter to amplifier sold separately.